You don’t have to wait to get the powerful Truth that sets us free! If you missed True Woman '18, you can view the entire event (at no charge!) now through October 14 at TrueWoman18.com/archives/. Later, conference messages will be available on the Revive Our Hearts YouTube channel. Leaders in the church aren’t exempt from sin. No one is. We don’t expect perfect people to lead our congregations, direct ministries, create resources, and speak into the culture. But we do expect them to uphold the Bible’s authority. We do want them to remain faithful to Christ. 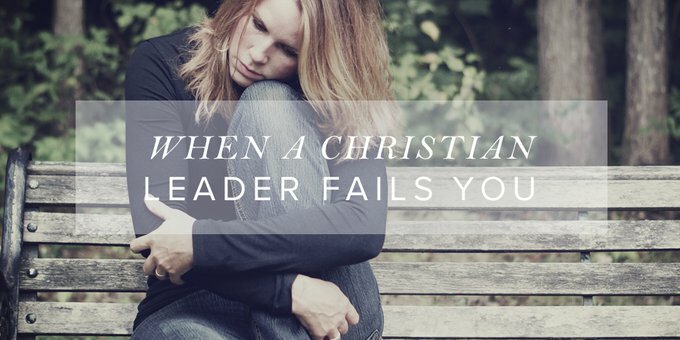 So sisters in ministry, what are we to do when a respected Christian leader fails the Church, in any context? How are we to respond? God is immutable. He never changes His mind. He makes good on what He says He’ll do, and He upholds every word He has spoken. Think about all the plans God has made and communicated to us—plans He had formed before eternity past—and consider how He’s been faithful to fulfill them. Think about His goodness to keep His promise of salvation to unworthy sinners. Think about the unbreakable new covenant of Jesus’ blood, poured out for the forgiveness of our sins. As we consider the leader who has changed, we can rejoice in our unchanging, trustworthy, and true God. He will never leave us, fail us, betray us, or change. He is the same yesterday, today, and forever (Heb.13:8). We can communicate these beautiful truths to our women who come to us concerned, saddened, and confused. They, and we, serve an unchanging, faithful God. Pride goes before destruction, and a haughty spirit before a fall (Prov. 16:18). When a respected leader fails us, it’s easy to think, I would never do that. Shame on them. I’m guilty of such thoughts. But we should be careful because all of us—leaders and the women we serve—are more prone to sin than we may think. Have you ever considered what sins you’re capable of committing in your lifetime? What about in the next year or week? What about in the upcoming hour? It may seem far-fetched to compare our potential for sin to those leaders who’ve fallen so drastically . . . but is it? “The heart is deceitful above all things, and desperately sick; who can understand it?” (Jer. 17:9). God’s Word tells us it’s not drastic to think this way because the human heart is complex and perplexing, deceiving us into pride (believing we’d never do such a thing) or into sin itself (doing the thing we never believed we’d do). Sometimes such pride can actually lead to sin, as Proverbs 16:18 warns. When a leader fails, we’ll be helped by recognizing our proneness to wander from God’s ways and Word. We should praise God for the good gift of His Holy Spirit, who lives in us, convicts us of sin, and empowers us to walk in holiness and truth as we lead; and we should always, always be on guard against the deceitfulness of our flesh, openly confessing sin and temptation to our faithful, just God (1 John 1:8–9) and to other believers. Set a guard, O LORD, over my mouth; keep watch over the door of my lips! (Ps. 141:3). In the age of social media, blogs, and instant news, it may feel like we have permission to comment on anything and everything, whether we know all the facts or not. It may seem like there’s an open door to air our grievances and speak our minds, and there may be—but that doesn’t mean we should. Wisdom responds with caution and humility; it doesn’t react in haste. “Let no corrupting talk come out of your mouths, but only such as is good for building up, as fits the occasion, that it may give grace to those who hear” (Eph. 4:29). This verse doesn’t say, “Let no talk come out of your mouths,” but “let no corrupting talk.” There are indeed times and contexts for us to speak into situations with godly wisdom; we aren’t to sweep destructive beliefs and outcomes under the rug. But we are to exercise caution and humility so our words reflect the Truth and do not corrupt. We should also consider what we know to be true––or don’t know––about any given situation involving another leader. Many times, we don’t know every detail nor do we see the context clearly—yet another reason to use caution and exercise humility before we respond. When a leader fails us, it’s tempting to react and speak from hurt, disappointment, pride, and anger. But God in Christ calls us to wisdom, to keep watch over our lips, so our response builds up and doesn’t add to the tearing down that’s already in action. Sometimes this means taking a step back to pray and process the situation before saying anything, especially to the women who value our insight. I urge that supplications, prayers, intercessions, and thanksgivings be made for all people, for kings and all who are in high positions, that we may lead a peaceful and quiet life, godly and dignified in every way (1 Tim. 2:1–2). Finally, pray. Pray for your own heart as you lead the women God has entrusted to you. Pray for you pastor, your elders, and board members. Pray for church staff and volunteers. Pray for Christians who’ve been given by God large, public platforms, those who influence many people. Pray for those you lead. Pray because sin is real, human hearts are deceitful, and the enemy is looking for more believers to devour.